ATEX certified RFID readers are usable in industrial applications and for security and access applications as well. 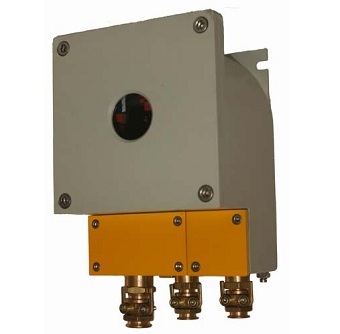 The stationary RFID readers are designed to be used in rugged environment and hazardous areas like chemical plants, gas filling stations, refinery, mining, onshore and offshore plants. The AGX 35Ex reader cooperates perfectly with ATEX RFID TAGs and are even useful in applications where metal and humidity may concern. AGILLOX offers a branch of different ATEX certified RFID TAGs usable in industrial and logistics and security and access applications and all kind of environments. Each RFID tag is optimised with our RFID readers and writers. Typical ATEX RFID applications are identification of objects in explosive and hazardous atmospheres. ATEX RFID makes life easier in supply chain management and industrial logistics of metal container and drums, LPG gas cylinders etc. In the area of petrochemical plants, the onshore and offshore industry ATEX RFID tags are most useful and essential. ATEX RFID based paperless automated maintenance management of valves and pipes avoid failures and optimise processes.